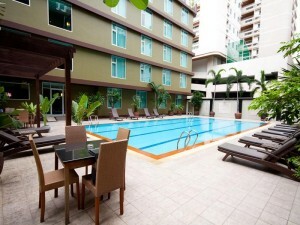 Dynasty Grande Hotel is a four star hotel on Sukhumvit Soi 6 with a big outdoor swimming pool and a fitness center for guests. Rooms are incredibly clean, decorated with high quality contemporary furniture, and have fast free Wi-Fi that’s ideal for surfing the Internet or working. The hotel’s restaurant and café serve good, reasonably priced food. 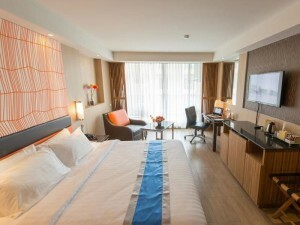 All in all, a great choice that’s conveniently located close to Nana BTS station and nightlife like Nana Plaza.